Dr. Maria Montessori and the Association Montessori Internationale, including a traditional Montessori curriculum. But what exactly does that mean? Unlike traditional education models, which are broken up into grade levels by year, Montessori curriculum is organized into more generalized developmental groups. The Elementary curriculum, designed for children ages 6-8, consists of a series of lessons that open up the different areas of study: the story of the universe (geography), the coming of human beings and their accomplishments (history), the coming of life (biology), and the development of language and numbers. In Elementary, children begin to understand their place in the universe. The Elementary curriculum also includes a second language, art and physical education. 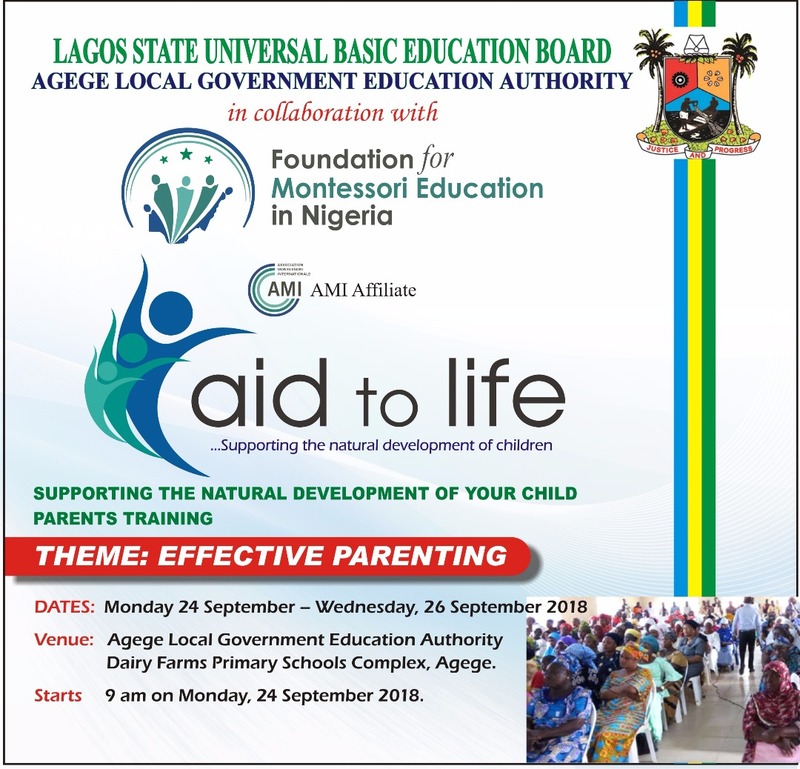 Practical Life: Practical life, which was a separate area in the Children’s House, is now integrated with the day-to-day care of the classroom and its inhabitants. Tasks may include preparation of snack and daily meals and watering of plants and care of animals. Elementary children dust the shelves, organize and straighten the materials, sweep and vacuum, and keep the classroom neat and clean. At this age, the children also begin to focus on a number of core subjects. Unlike traditional schools where the subjects are broken into separate and distinct blocks of time, these subjects are often interconnected within the course of a child’s day. Geography and Science: Composition of the earth – air, land and water, maps, land formations, latitude and longitude, human geography and cultures, politics and economical structures, physics – states of matter and gravity, the periodic table, magnets, seasons, the atmosphere and temperature. Biology: Plant needs, structures, classifications and cells, animal needs and classifications, vertebrates, invertebrates, ecology, human development, observation and care of living organisms, interdependencies. History: Historical timelines of the Earth, ancient civilizations, human needs, measurement of time, phases of history, world history, United States and Minnesota history. Language: History of written language, word study and analysis, grammar, parts of speech, story structure, sentence analysis, the writing process, creative writing, spelling, handwriting, cursive, literature, book making, poetry, drama, novels, short stories, authors, spoken language, reports, speeches, debates and computer literacy. Second Language: Learning a second language helps children not only develop language and literacy skills, but cultural and interpersonal skills as well. Emphasis begins with listening, pronunciation and reading skills in the second language, followed by exploring grammar and reading and writing longer pieces. Montessori curriculum uses songs, poems, geography and history to help hone second language skills such as: simple verbs and conjugations, constructing and reading stories, geography, holidays, idioms and ties with Nigerian culture and language. Music: Montessori music is focused on singing, movement and improvisation, solo and ensemble performance. Reading and writing music are skills which are also taught. Each year, all students perform in a class play. Musical skills children learn include: clapping and body percussion, musical games and dances, singing in unison, rhythm, melody, instruments, musical production, direction and performance. Physical Education: Movement and kinesthetic play are core themes within any Montessori school. Through the use of their bodies, students learn all other skills. Care of self is also one of the main messages carried through the Montessori curriculum, and through physical education students not only learn about themselves, but about others and the world around them. Core physical education concepts include: ball work, team games, individual exercises, yoga, fitness and conditioning, sport skills and strategy, square dance, folk dance, group games and cooperative activities. Mathematics: Numbers, numeration, place value, operations, whole numbers, decimals, fractions, properties and rules, percents, squaring, cubing, roots, graphing, statistics, probability, rounding and estimating, geometry, lines, angles, polygons, perimeter, area and volume. Montessori students still learn all of the same skills and subjects that they would in a traditional setting; however, rather than moving from grade level to grade level based solely on their age, our students progress by reaching developmental and learning milestones and advancing as they are ready. 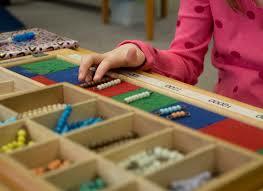 The lower primary program follows the structure and guidelines created by Dr. Maria Montessori. Subject content is introduced to children based on their individual readiness. All children are expected to complete the full course of study in each area, at their own pace.